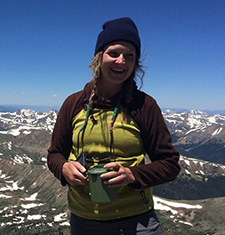 As a recent transplant from Steamboat Springs Colorado, Kenna is extremely excited to be living in the Seattle area and working with Outdoors for All. After growing up on a small farm in Indiana, Kenna decided to attend Colorado State University to be closer to the mountains. She received her B.S. in Exercise Science and Spanish. While in school, Kenna worked and volunteered with various programs for at-risk youth as well as youth with developmental disabilities. After graduation she worked for an adaptive recreation program for four years in Steamboat Springs, Colorado and received her Adaptive Level II certification through PSIA. In addition she holds certifications in Adaptive Waterski, and PSIA Child Specialist and Alpine. Kenna is passionate about making sure everyone has the ability to recreate and enjoy the fresh outdoor air. In her free time, Kenna is looking forward to exploring the new ski terrain near Seattle, hiking, kayaking, gardening, and eating all of the seafood she can handle.